One of the biggest-ever gatherings of the infamous V4-powered Honda RC30 will take place at this year’s Isle of Man TT Classic next month. To celebrate 30 years of the iconic Honda VFR750R RC30 – a superbike that changed all the rules when it was launched back in 1987 – the Classic TT organisers are building a pop-up museum in the Classic TT paddock. The legendary Isle of Man TT Mountain Course will thrum to the sound of V4s as more than 30 Honda RC30’s take to the 37.73-mile Mountain Course on Monday August 27 for a lap of honour. The RC30 is inextricably linked to the history of the Isle of Man TT Races and made its mark from the outset in the 1988 Formula One TT Race which Joey Dunlop won on an early version of the bike, setting an outright lap record in the process. The bike was actually released in Japan in 1987, but only came to Europe in 1988. It’s rumoured that 3000 were built. The RC30 an instant impact when Fred Merkel won the inaugural Superbike World championship rider and manufacturer title, which he then proved wasn’t a fluke by taking the title again the following year. The VFR750R RC30 became an instant hit for Honda taking victories at every level of racing. As standard the Honda VFR750R RC30 cost nearly double the price of equivalent sports 750s at the time of launch. The exhaust sound was evocative, and the bike featured a twin-spar aluminium frame, that glorious 16-valve V4 engine, a close-ratio six-speed gearbox, and four-piston front brake calipers. The single-sided swingarm and quick release front fork mean the bike was built for endurance racing out of the crate. It remains ultra-collectable today, with decent examples going for £30,000 plus at auction. 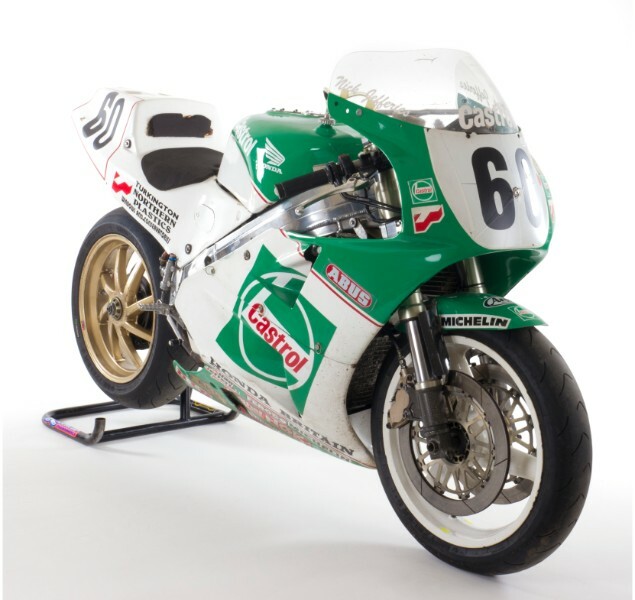 Some of the most successful Honda RC30’s in history will be on the Isle of Man for the special museum and lap, including bikes ridden by 26-time TT Race winner Joey Dunlop, Steve Hislop, Phillip McCallen, Carl Fogarty and Freddie Spencer. Five factory race-spec Honda RC30’s, formerly ridden by Dunlop, Fogarty, McCallen and Jefferies in either Castrol or Silkolene colours, plus Hislop’s 1988 Production TT Honda RC30 will also feature. The free-to-enter Honda RC30 30th Anniversary Pop Up Museum has been curated by the Honda RC30 Owners Club and will be open from Friday 24th to Monday 27th August in the Classic TT Paddock at the Isle of Man TT Classic.